2020 Mini Tear-Off Calendar by Taylored Expressions. 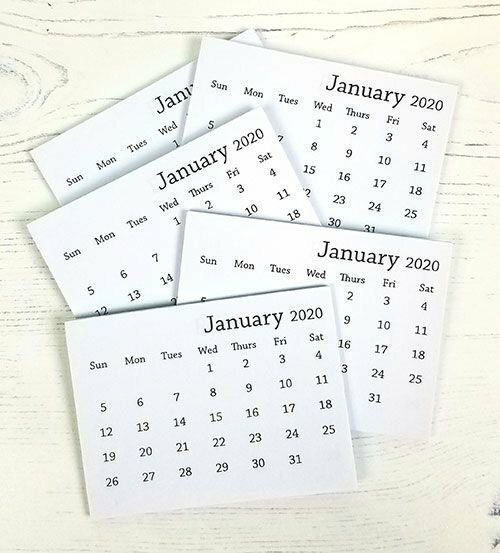 Ten 2.25" x 3" calendars are included per package, with pages printed on 20# text weight paper. The entire calendar is backed with a chipboard piece for sturdiness.